Next-generation sequencing has revolutionized our ability to understand host-pathogen coadaptation at a molecular level. While many studies have explored the evolutionary dynamics of chronic infections such as HIV, little is known about the dynamics of acute viral hemorrhagic fevers, such as Lassa and Ebola, which can kill within days or weeks. Despite the extremely high mutation rates of these single-stranded RNA viruses, it is unknown how much evolution, if any, occurs within a single infected patient, and how changes in the viral population contribute to virulence and transmission. 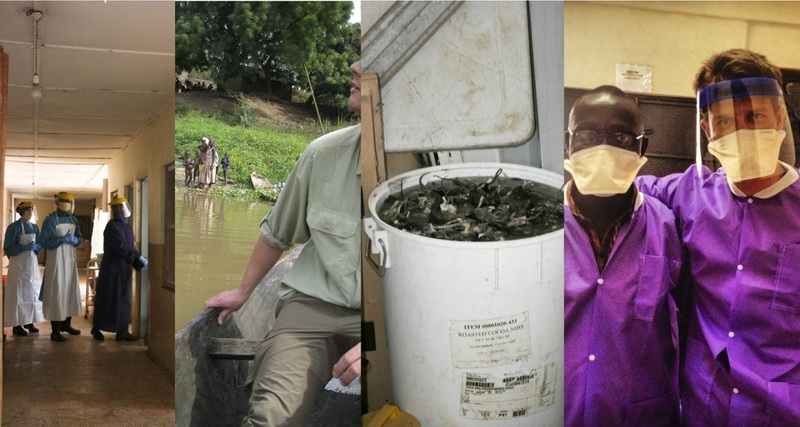 To fill this knowledge gap, we established diagnostic and research capabilities in the Lassa-endemic zones of Nigeria and Sierra Leone, and have sequenced over 100 Lassa virus genomes directly from human patients (putative acute infections) and the rodent reservoir, Mastomys natalensis (putative chronic infections). This has given us unprecedented insights, first into the origins of Lassa and its spread across West Africa, and second, into its transmission and evolution. Ongoing work is focused on determining how much of intrahost viral diversity is adaptive, by applying tests for selection to Lassa and Ebola sequenced from both clinical samples, and experimental infections of nonhuman primates.